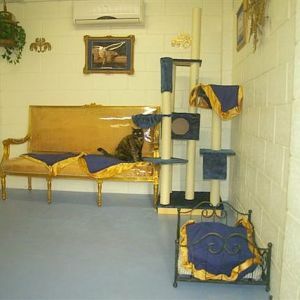 Your feline friend will be a very spoilt kitty whilst holidaying in our Royal Suite. The suite is large, airy and spacious. 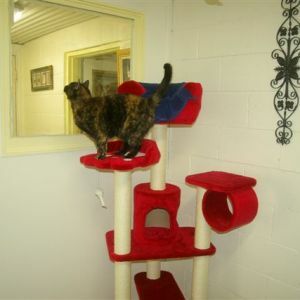 If you are after Brisbane’s most luxurious cattery boarding facility for your pampered feline…..then look no further than our Royal Suite. 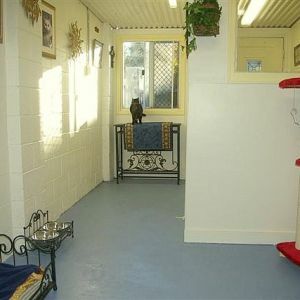 Located in the heart of Windsor 4030, we are the closest cattery to Brisbane’s inner city. 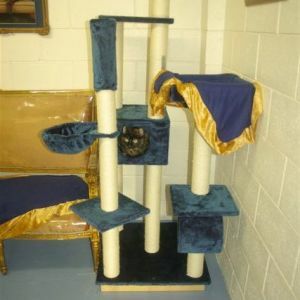 Your cat can lay about on the chaise lounge, play on the mammoth scratching poles and ledges or curl up in one of the hidey holes. They can also watch the birds flying by whilst sitting on the window sill with the sunlight streaming in. There are plenty of areas for your cat to stretch and scratch its nails on. 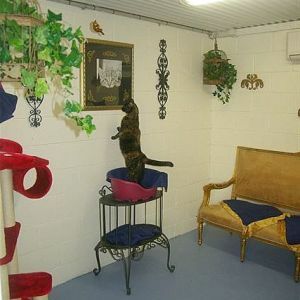 The suite boasts a separate split system air-conditioning unit to keep your cat comfortable on those hot summer days. The suite can take up to 3 cats from the same family. Your cat will feast on Hills Science Diet whilst in our care. 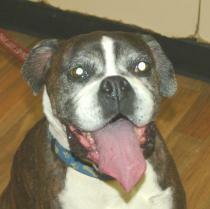 You can be assured that they will get lots of pampering from our caring nurses. We only have one Royal Suite so please book early.